The contemporary Ukrainian political debate is full of talk about combating corruption and establishing the rule of law. Few would doubt that these are key national priorities, but the country currently lacks plausible role models. When it comes to abiding by the law, Ukrainian society should be able to rely on those who create the laws to set a good example. However, in practice, Ukrainian MPs are often the most brazen of all when it comes to breaking the laws they pass. Perhaps the most immediately obvious example of this disregard for the law is the failure of MPs to comply with the simple procedures governing parliamentary votes. There is a long and very damaging parliamentary tradition in Ukraine of voting for absent colleagues. 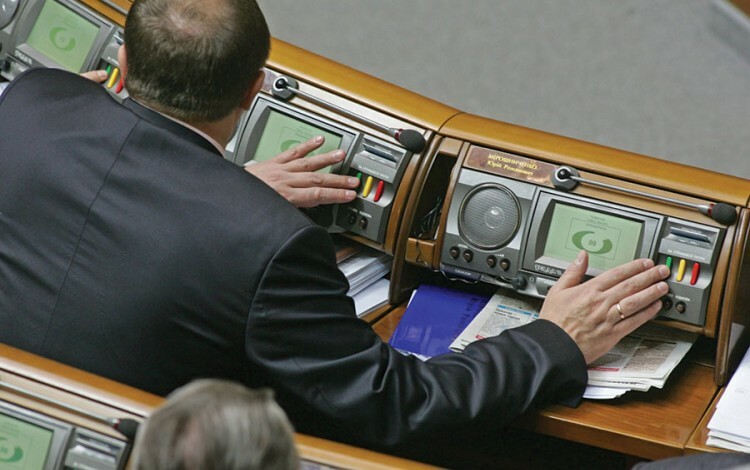 Known variously as “piano-playing”, “multi-voting” or by the Ukrainian term “knopkodavstvo” (literally meaning “button pushing”), the practice of crafty MPs pressing the electronic voting buttons of their non-attending fellow party members is an everyday occurrence that Ukrainian society has grown wearily accustomed to. Technically, voting for absentee colleagues is in breach of not one but three separate laws: the Ukrainian Constitution, the law governing MPs, and the law outlining parliamentary regulations. Nevertheless, the practice continues to flourish despite repeated promises to clamp down on offenders. According to the Ukrainian NGO “Chesno”, 73 different MPs engaged in multi-voting on 265 separate occasions in 2017. In other words, almost 20% of all MPs stand accused of engaging in this practice over the past year alone. Nor is the situation showing signs of improvement. On the contrary, the total incidence of absentee voting in 2017 was higher than the overall totals for 2015 and 2016 combined. 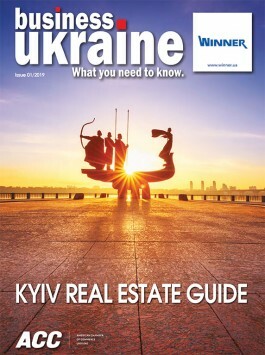 Scenes of Ukrainian MPs running around the parliamentary session hall or leaning across from row to row are often the subject of jokes and dark humour, but the reality is no laughing matter. By showing such complete disregard for one of the most basic principles of parliamentary procedure, Ukraine’s MPs are undermining the already minimal levels of public trust in parliament as an institution. As well as the appalling optics created by multi-voting MPs, there are also practical aspects to consider. Allowing MPs to vote on behalf of their absent colleagues creates a culture of part-time parliamentarianism. Instead of demonstrating due respect for their parliamentary duties, MPs are able to skip work whenever it suits them. According to the Committee of Voters of Ukraine, more than 70% of MPs missed over half of the parliamentary votes in January 2018. Around one tenth of MPs did not vote at all throughout the entire month. Clearly, many MPs regard parliament as little more than a private members club or a hobby. Levels of public apathy towards this kind of brazenly undemocratic conduct are high. This makes it unlikely that voters themselves will punish repeat offenders at the ballot box. The best route to reform may lie at the legislative level. It is crucial to clarify responsibility for multi-voting. Present legislation governing the status of MPs applies responsibility for voting violations to everyone but the MPs themselves. This absurd situation needs to change. Sanctions for voting on behalf of absent colleagues should range from loss of parliamentary seat to criminal liability. In addition to legislative amendments, the recent experience of the Kyiv City Council offers a ready technological solution. The Kyiv authorities have adopted a voting system whereby it is physically virtually impossible to vote for absent colleagues. Council members must vote with one hand while identifying the relevant legislation with their other hand. Both buttons must be pressed for a certain period simultaneously in order for an individual vote to register. While not 100% fool proof, this tried and tested system would radically reduce the scope for multi-voting in the Ukrainian parliament. As Ukraine moves into a new election cycle, it is particularly important to support the credibility of the country’s democratic institutions. Unfortunately, we cannot rely on the conscience and integrity of the current crop of MPs in this regard. With that in mind, all progressive parties should show their support for symbolic measures such as outlawing multi-voting. Putting an end to this practice would demonstrate that Ukraine’s parliamentary culture is maturing. It would also reflect the public mood, which is no longer prepared to tolerate the dysfunctional democracy of the past few decades.